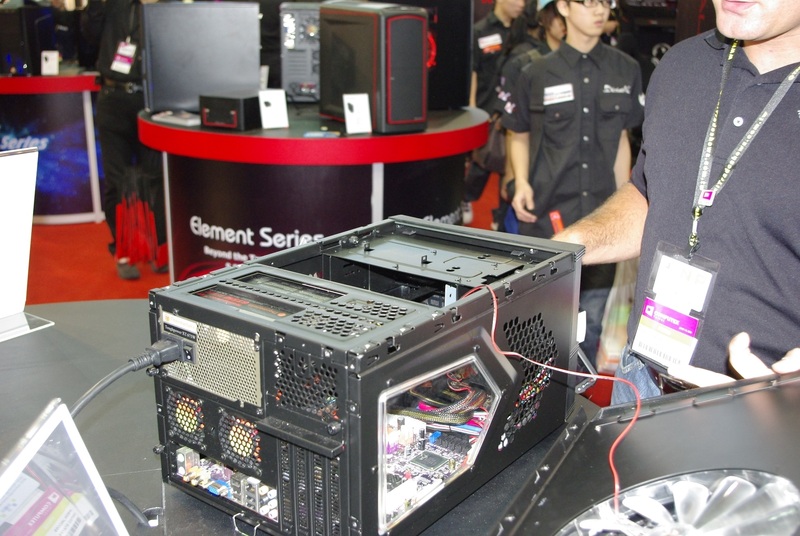 This year Thermaltake has their entire array of products laid out at their booth at the Nangang conference hall. 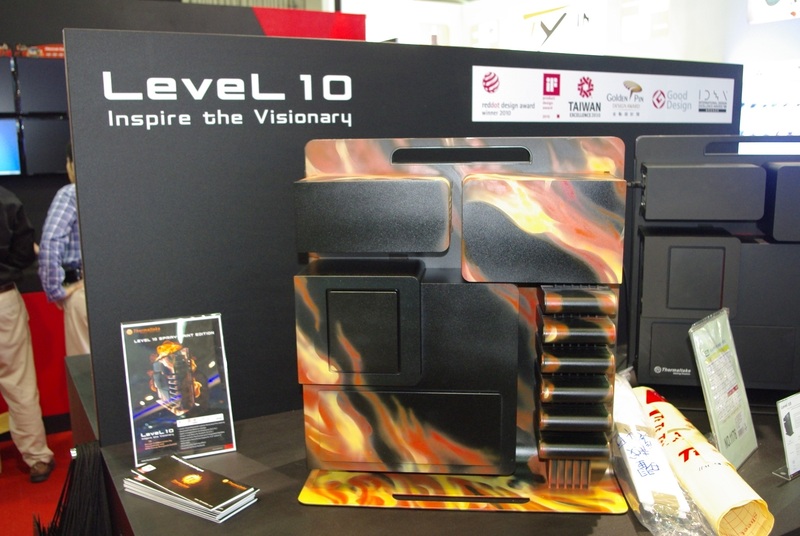 Front and center is a custom painted LvL 10 case that is slick enough to make almost anyone envious. 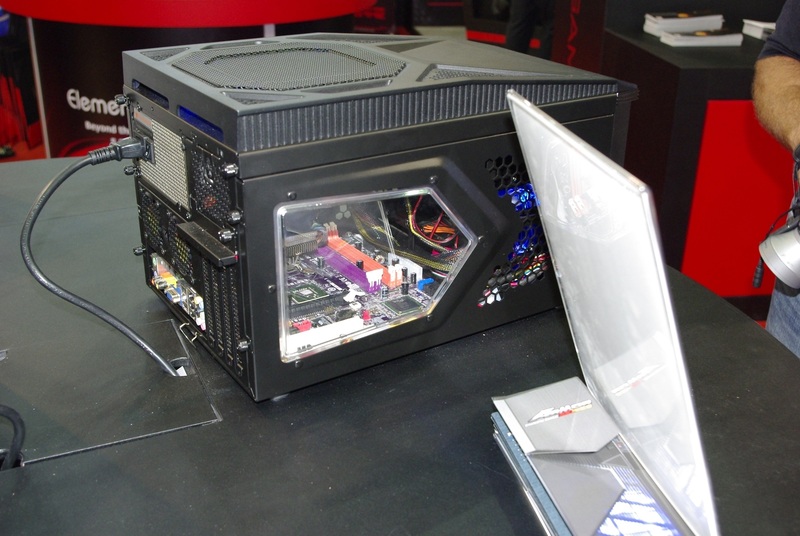 Behind it was sitting Thermaltake’s new Armor A30 LAN gaming case. 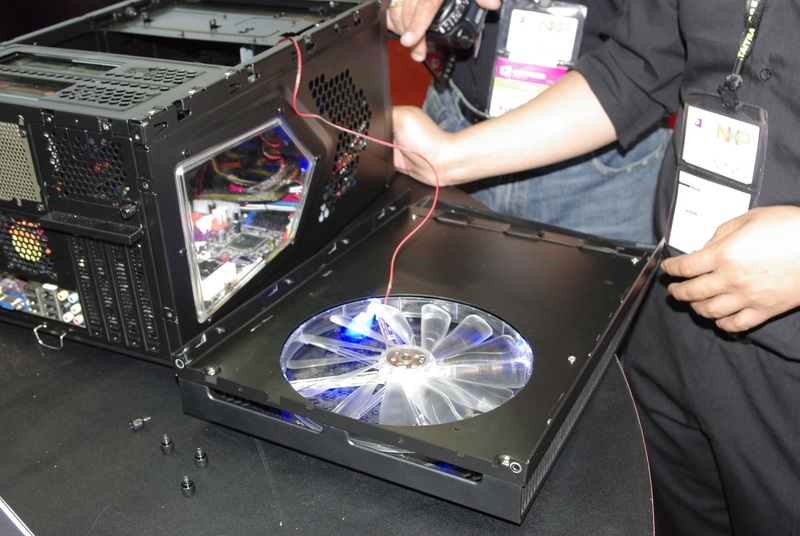 The A30 has a top mounted 23CM fan, front blue LED fan, side mounted windows, and a fully modular chassis design with removable motherboard tray. 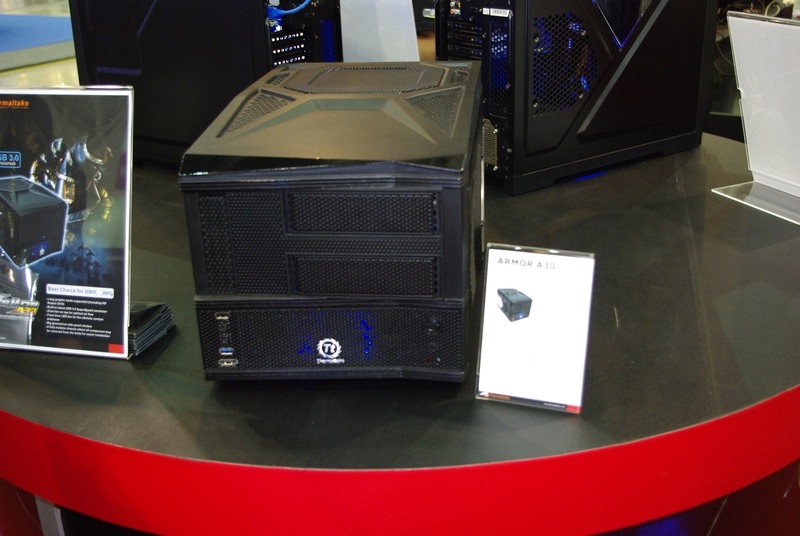 Most importantly for the gamers this case supports the use of a full sized Nvidia and ATI current generation video cards. 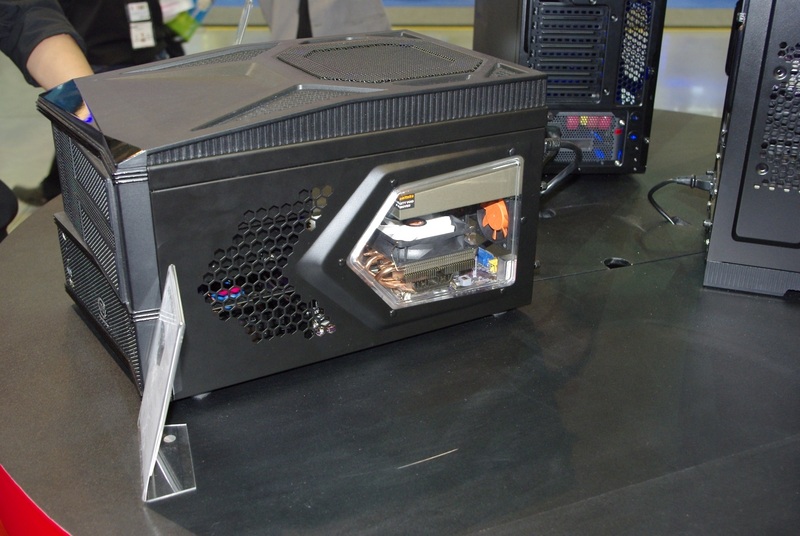 Thermaltake also had on display updates to their Frio line of cooler, new fans, and new updates to their Luxa2 line of products including the H4 iPad cradle. Stay tuned to our website for reviews of all of these products within the next few week.